If you enjoy the open road on your bicycle, you’ve probably considered a bicycle dog carrier as an option which you can use for bicycle. You always should take precautions during travelling that prevent certain threat and accidents. 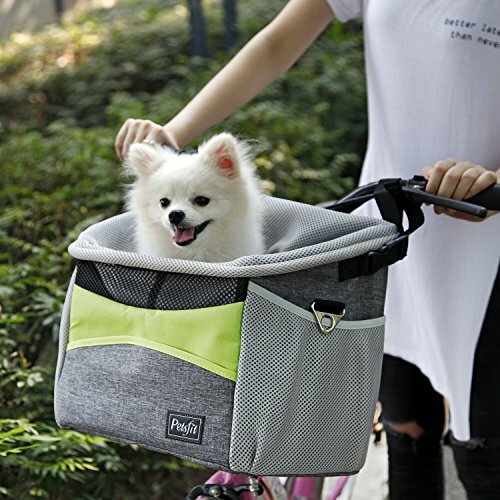 Some bicycle dog carrier can actually be a threat to your pet’s life and your own. There are many pet carrier for motorcycle and bike carrier. 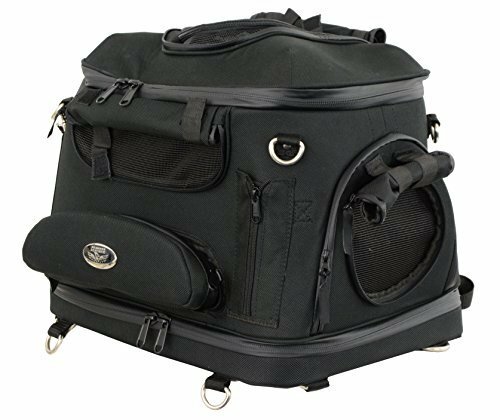 Our intention here is to provide you with the information and resources you need to decide which motorcycle pet carrier is right for you. Another very important things to remember always use a collar or leash to ensure your puppy don’t get away. PetSafe Solvit Tagalong Bicycle Basket, Bicycle Dog Carrier, Best for Dogs Up to 13 lb. The Tagalong Bicycle Basket is a carrier that allows you to roam around with your best buddy in your bicycle. The adjustable safety leash (included with carrier) is for your pet safety during ride. The three way adjustments on the bracket is for best fit in any bicycle and it is very easy to set up and off from any bicycle. 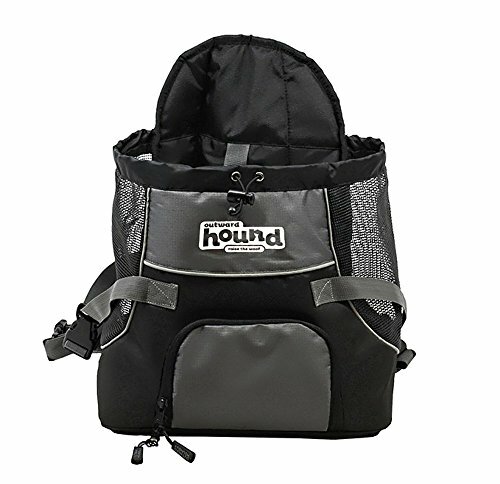 The size of this carrier is for small dog weight up to 13 lbs. The basket dimensions are 16 in. x 12 in. x 11 in. PetSafe Solvit Deluxe Tagalong Bicycle Basket, Dog Carrier for Bikes, Best for Dogs Up to 13 lb. The wicker bicycle dog carrier is known for its classic design. The basket is made with weather resistant rattan wicker. The inner dimensions are 15 in. x 11 in. x 9.5 in and carry up to 13 lbs. Inside the basket they put faux-sheepskin liner to provide extra comfort for your puppy. The basket comes with adjustable safety leash to secure the ride with your pet. 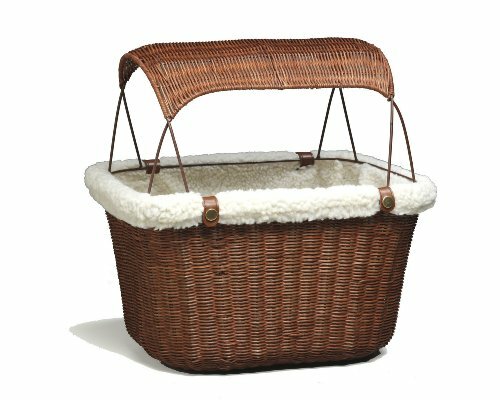 The faux-sheepskin liner is easily removable and very easy to wash.
PetSafe Solvit Tagalong Wicker Bicycle Basket, Dog Carrier for Bikes, Best for Dogs Up to 13 lb. 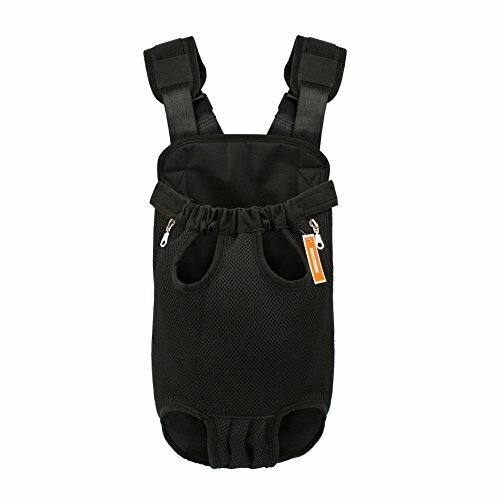 This motorcycle dog carrier bag is for pet owners who ride bike and don’t want to keep their puppy in home alone. You do not need to worry about safety as it comes with universal adjustable strap and clips. The strap ensures safety when you go for mounting. 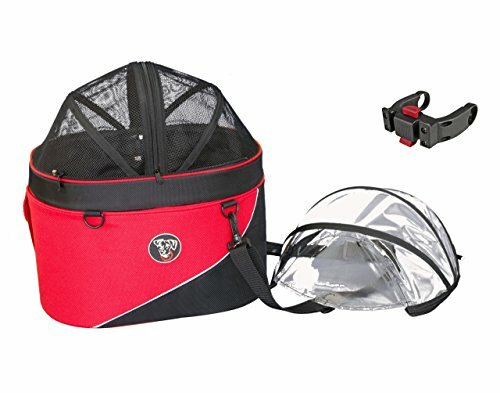 The opening in the top and mesh breathable panels makes the heavy duty motorcycle pet carrier very comfortable for your pet. This is for small puppy and it’s dimensions are 16” x 12” x 13”. A very cute bicycle dog carrier bag to carry small puppies ( up to 10 lbs). The soft inner pad provides extra comfort to your pet. The inner pad is easy to remove and machine washable. Very easy to install and fits in any standard bike rack. The inner leash clip for safety of your pet and the distance between tire and handle bar is 12”. The side pocket is for easy storage of medication, treats etc. Not all puppies are ready to hike with you on their cute small paws. However they will not be deprived from seeing those amazing view if you had this carrier with you. You can carry small to medium pet weights up to 20 lbs. A safety harness comes with the bag to prevents dogs getting away. The front facing features allows you to keep eye on your pet all the time, so that you can know when they fell uncomfortable or they need to drink water and so more. The pockets are very handy to carry medication and your necessary things. 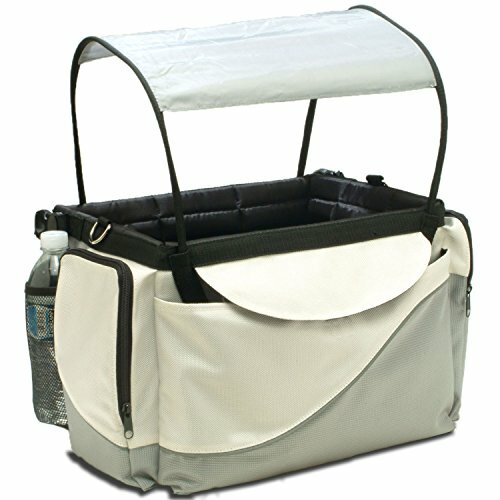 Overall this carrier is a great tool to be with your puppy all the time. You can use this carrier as your convenience like for bike, bicycle, pet car seat etc. The carrying strap that you can attach in 5 different ways. The bag claims to provide safe travel experience, cover during rain with their mesh dome cover. The bag is very durable because of the exterior is made of polyester and the interior is from water-resistant nylon. This is ideal for small dogs upto 16 lbs. A very comfortable carrier for both pet owner and pet. With the padded shoulder strap, it is very comfortable to carry. The added mesh panels has very good air circulation for your puppy’s breathing. The legs out design is very good for puppies. It keeps them calm and provides safety.